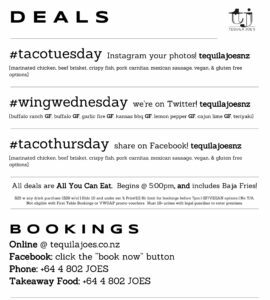 TACO TUESDAYS – ALL YOU CAN EAT TACOS! WING WEDNESDAYS – ALL YOU CAN EAT BUFFALO WINGS! 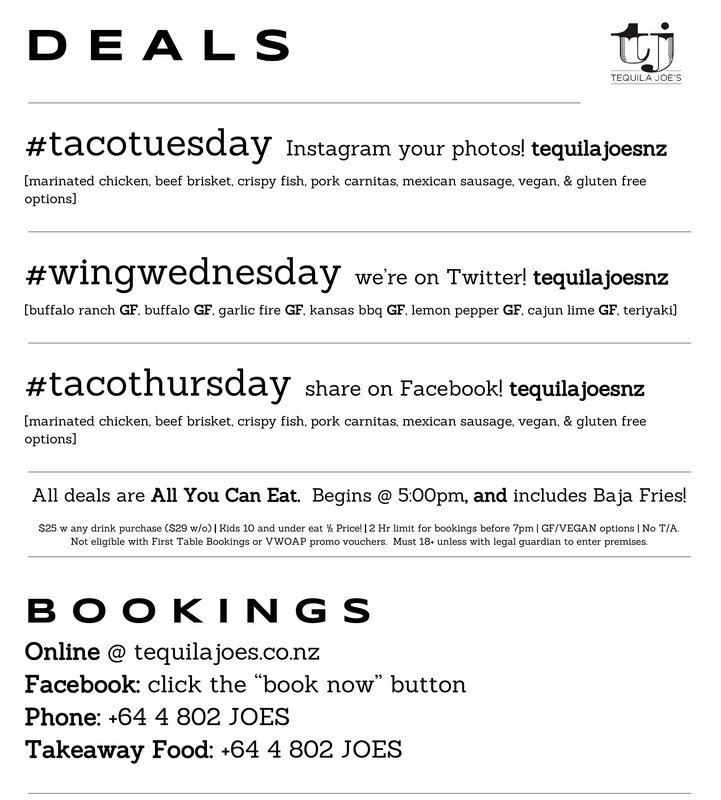 TACO THURSDAYS – ALL YOU CAN EAT TACOS! *Check out our Happy Hours Deals on FB &Instagram time to time.